Secretary General of the Palestine Liberation Organisation (PLO), Saeb Erekat, Tuesday called on the United Kingdom to recognize the State of Palestine on the 1967 borders and to reconsider plans to celebrate the 100 years anniversary for the infamous Balfour Declaration. This came during a meeting with visiting UK’s Minister of State for the Middle East, Alistair Burt, at Erekat’s office in Jericho, east of the West Bank, where they discussed various issues of importance to both sides, particularly bilateral relations. “Britain, the European Union, the United States, Russia, the United Nations and the rest of the world have to obligate the Israeli government to accept the principle of two states based on the June 4, 1967 borders, that is an independent state of Palestine with East Jerusalem as its capital living in security and peace alongside the state of Israel on the 1967 lines and a halt to all Israeli colonial activities,” Erekat told his British guest. 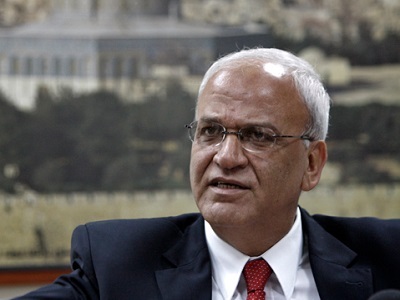 Erekat calls on UK to recognize State of Palestine. Erekat said Israel’s practices are destroying the two-state solution and replacing it with one state with two systems, that is an apartheid system, by keeping the status quo on the ground. 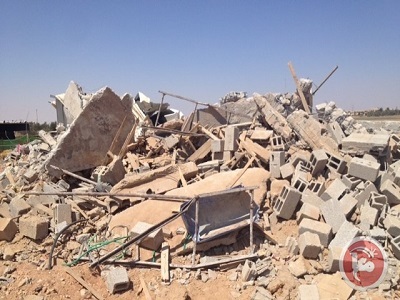 Meanwhile, Erekat called on Hamas to dissolve its administrative committee and enable the national consensus government of Prime Minister Rami Hamdallah to assume full powers in Gaza.